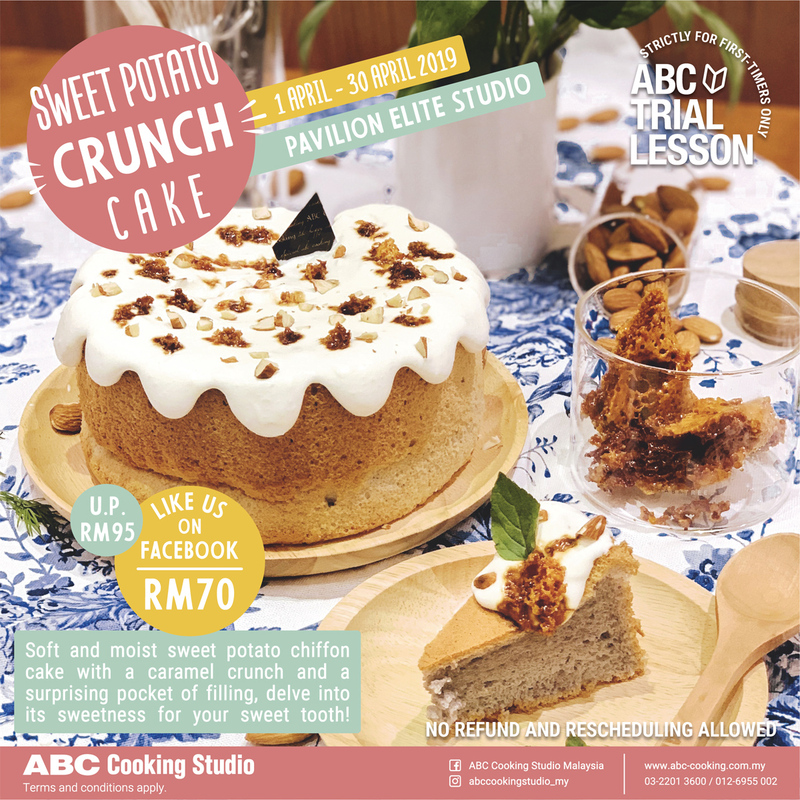 Learn to make a chiffon cake using sweet potatoes powder from this Seasonal Trial menu! Hands-on to make this simple chiffon cake but with drip frosting design. Soft sweet potato chiffon cake with mild caramel aromas, and surprising pocket of filling — This dessert serves well for an average sweet tooth. Copyright © 2019 ABC Cooking Studio Worldwide. All Rights Reserved.